Do you love anchors? Do you enjoy taking pictures & blogging? Are you a Delta Gamma girl by any chance? 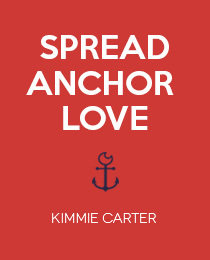 Do you love Kimmie Carter’s jewelry and apparel? If so, you could be one of our “It” Girls!! We are looking for 6 qualified college students to be part of our “It” Girl intern team. “It” Girls will take and share creative fashion photos and write their own blog posts to engage our existing fans and create buzz to generate new ones through our social media channels. Do you think you have what it takes? This is a remote internship will allow you to juggle your personal schedules and even part-time jobs. We want you to enjoy flexible hours and have fun while gaining valuable work experience, building your resume, and obtaining a job reference. One outstanding intern will be considered for a social marketing assistant position in Summer 2014. We’re taking applicants now through December 15th, at 12:00am PST. The KC social media/marketing winter internship begins 12/30/13 and goes through 01/31/14. We are so excited to hear from you! !